Annual rentals are 12 month leases and can be renewable by mutual agreement. Most annual rentals are unfurnished, however furnished properties may be available. Tenants are required to put the electricity and phone services in their name. Cable is often included in the rent, along with water, trash, & access to amenities such as a heated pool and his & hers saunas. A security deposit equal to one month's rent, plus first month are required. Last month is often waived for qualified tenants. All tenants must receive approval from the Condo Association prior to occupancy, which will require an application fee ($100-$125) and common area deposit (varies from $500-$1000) due while applying. Approval typically takes 30 days, yet a few associations do offer a rush job. 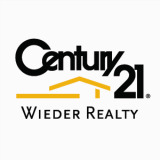 Contact CENTURY 21 Wieder Realty for additional information, (954) 978-8300.